The easiest solutions to jailbreak iPhone, iPad and iPod Touch that was released by Comex earlier today uses a userland exploit to jailbreak and install Cydia on an iOS device. Step 7: Once Cydia is downloaded, give your iPad 2 a reboot. Thats it! Your iPad 2 is now jailbroken. Experts have raised concerns that the vulnerability in iOS could be exploited in a similar way by malicious websites to install malware. It is also expected that Apple will release iOS 4.3.4 software update to patch the exploit very soon. If you don’t want to upgrade to iOS 4.3.4, but don’t want to be exposed to the security vulnerability then you will be relieved to know that there is a solution for you. Comex not only use the variability to jailbreak but also released a patch called PDF Patcher 2 on Cydia to fix the vulnerability associated with viewing malicious PDF files. It can be installed on any firmware version before apple to find and fix it. Launch Cydia from your jailbroken iOS device homescreen. Tap on the Search tab and search for PDF Patcher 2. Tap on PDF Patcher 2 from the search results and then tap on the ‘Install’ button. Then Tap on the ‘Confirm’ button to install the patch on your iOS device. With this you have the best of both worlds, you have patched the vulnerability that is likely to be fixed by Apple in iOS 4.3.4 and you also get to keep your jailbreak. What meant by Cydia ? @saurik make it ironic to Apple? Do you know why Cydia is called as Cydia? and What does it mean? Well, Amongst the jailbreak community Cydia is a household name. If you have jailbroken your iOS devices then you must have used Cydia. All the credit of Cydia goes to Jay Freeman who is also known as saurik. Jay Freeman is the creator of Cydia. Lots of iPhone users uses Cydia but many people does not know what does the word Cydia really means. Cydia is named after a moth which is paste for fruit trees (Apple?). Cydia pomonella is the scientific name for the “coddling moth” which is commonly known as the stereotypical Apple worm. 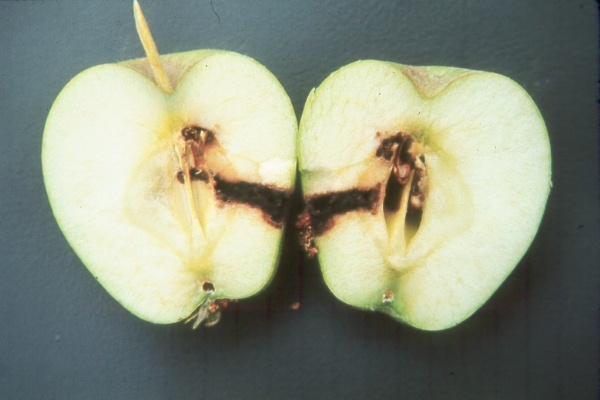 According to Wikipedia, the Cydia pomonella is a problematic pest on several fruit trees, including pears and apples. The caterpillars burrow into the fruit, rendering it un-sellable See it. So the ironic name of Cydia is well suited since Cydia has turned out to be quite the worm to Apple’s devices. The word “jailbreak” is becoming more established amongst the average user with each successive iOS release. It can be a good thing for development of repository manager and replacement packaging. 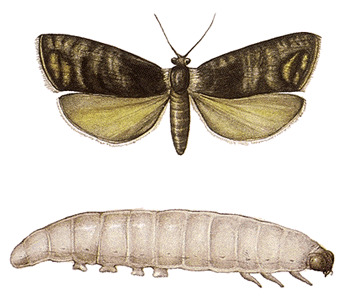 Cydia is named after a moth which is paste for fruit trees such as apples and pears. It is a vital tool for iOS devices jailbreak. Well, that I come to know. Share your views in the comment section below. Stay tuned with us for more updates. Did FaceIt 3Gs Enable FaceTime On iPhone? Enter your email address to subscribe to this blog and receive notifications of new posts by email & follow @corebuilde on twitter.